The Bristol Syrup Company is a collaboration between Bristol based syrup experts and bartenders. We’ve distilled down years of experience to create a range of quality cocktail syrups; tasting authentic to the name on the label and to the syrups bartenders would make themselves. We believe syrup shouldn’t be an afterthought when making cocktails. The quality and taste of syrup should be as well considered as the chosen spirits, juices and fruits. After extensive research, brand development, testing, and building a syrup plant right here in Bristol, we were proud to launch the Bristol Syrup Company in September 2017. Created with passion and expertise, this range of fifteen classic and more complex syrups are our contribution to the thriving cocktail scene in Bristol and across the UK. With over 40 years of collective experience in the drinks industry, Jem Rogers, Dee Davies and Danny Walker came together to create The Bristol Syrup Company. From distilling gin, to stocking coffee shops worldwide and launching new spirit brands, the trio have a wealth of experience and knowledge when it comes to products of the liquid variety. 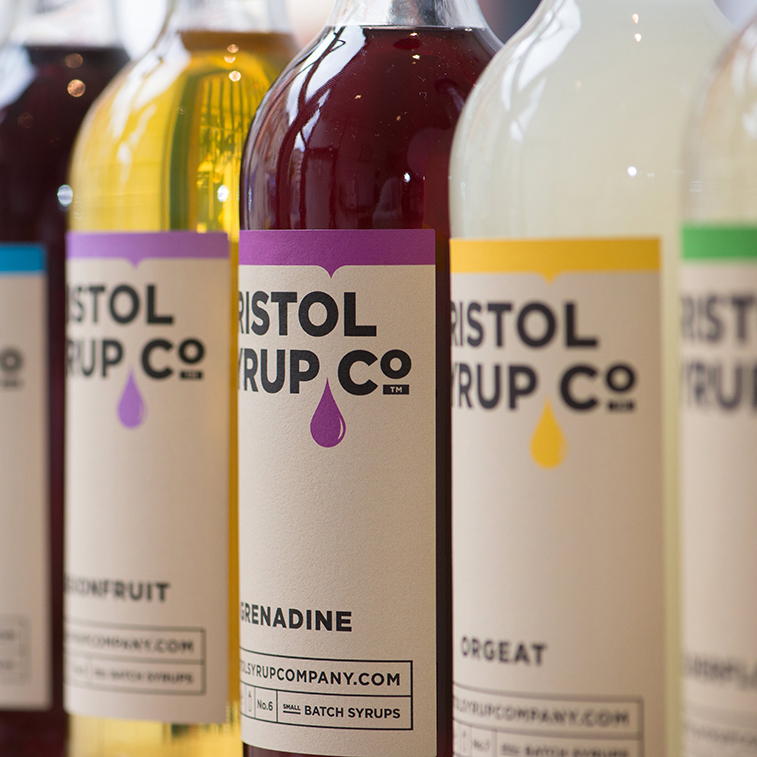 The Bristol Syrup Company range consists of classic sugar and fruit syrups with a selection of complex syrups. All have been specially developed, tried and tested by Dee and Danny to meet your cocktail needs. You’ll find speed-rail staples such as Raspberry, Coconut and Grenadine, alongside the more unusual Fruit Cup, Raspberry Shrub and Cherry & Vanilla.